Widow films for protection against sunlight. Foliggo offers window films for protection against sunlight, which can be installed on glass units and single-layer window panes. We provide typical sun protection films designed to be installed from the interior as well as specially designed external sun protection films, which protect new windows from the solar heat. 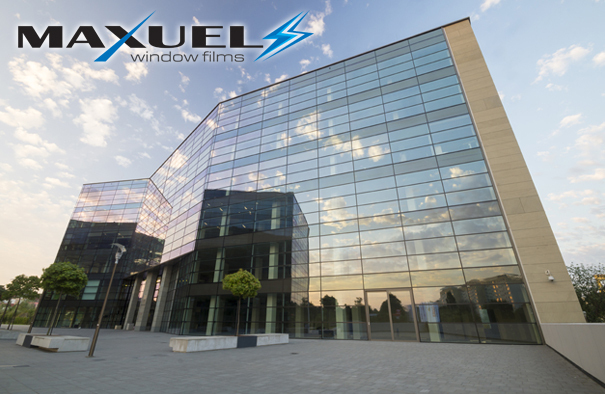 Our product range also includes films for low-emissivity windows, smoked windows, and multilayer windows. Our anti-solar films are also partially thermal insulating films (reflecting up to 15% of the warmth from central heating) for houses and apartments. Some films also provide a one-way mirror effect. They may also be used as decorative films, enhancing the aesthetic quality and utility of a building. Foliggo sun protection films contain a thin layer of highly transparent polyester. There is also a thin layer of glue applied on the film, which facilitates its installation on the window, as well as a layer of metallized coating, created using a unique process of vacuum sublimation..
protection against fading - the standard warranty for silver films mounted vertically on windows lasts for 5 years. 99% reduction of UV radiation, resulting in the protection of objects placed behind the window against fading and damage, and slowing down the photoaging process. a mirror window film is usually used as a sun protection film in offices, warehouses, and houses. It can be also applied to create a one-way mirror effect in a situation, when one side of the mirror is well-lit and the other is dark. LUX 60 a special sun protection film in golden finish with sublimated metal coating, which is characterised by very low heat absorption (very little energy is accumulated on the window). It is recommended for new argon-filled windows.